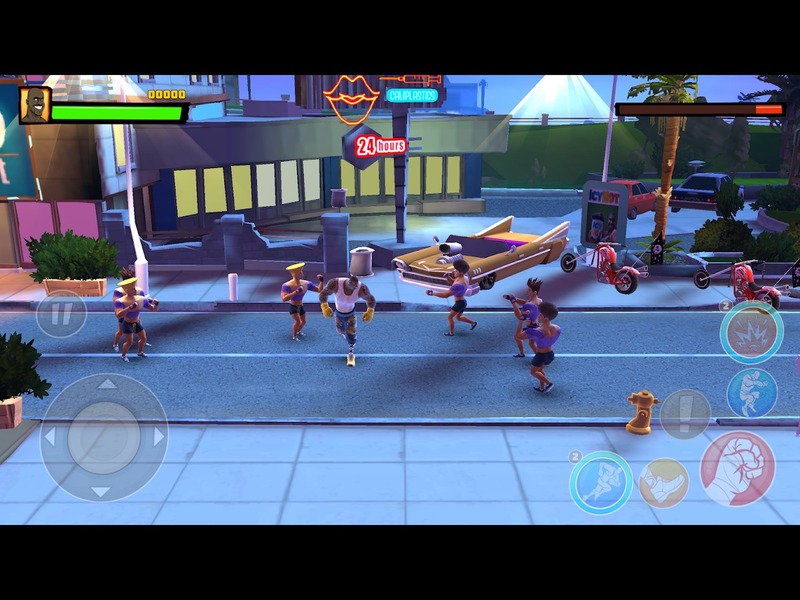 ShaqFu: A Legend Reborn is the latest action role-playing game released by Mad Dog Games. The game was inspired directly from the original game ShaqFu – the fighting game released in 1994. Although the original version did not achieve much success, the publisher Mad Dog still decided to bring this legendary game goes back by release ShaqFu: A Legend Reborn on the Xbox, PC, and Nintendo Switch platforms, and most recently the two versions for iOS and Android. In the original version, the story of ShaqFu talks about Shaquille O’Neal – a basketball player on his way to Japan to participate in a charity tournament, however after meeting martial arts master Leotsu he studied martial arts and has a journey to rescue the boy Nezu in another dimension. Unlike the original story, ShaqFu: A Legend Reborn is about Shaq Fei Hung – a poor orphan boy from China. The evil forces are rising and being sent down to Earth. They want to rob ancient relics and turn human beings into slaves. Now, the destiny of mankind is put in the hands of Shaq Fei Hung. Can the boy use his martial arts skills to defeat the devil, protect the earth? In the quest to kill the bad guys, you will find a lot of different enemies from small to large bosses with tremendous power. ShaqFu: A Legend Reborn is beat ’em up game, players need to focus on the battle without having to worry about anything else, use your power and martial arts skills, smashing those around them without giving them a chance to escape. There are a lot of virtual keys that correspond to the actions you choose, and each perfect combination will create a huge damage combo. Besides, you can develop your character by purchasing additional equipment and learning new combos to deal more damage. 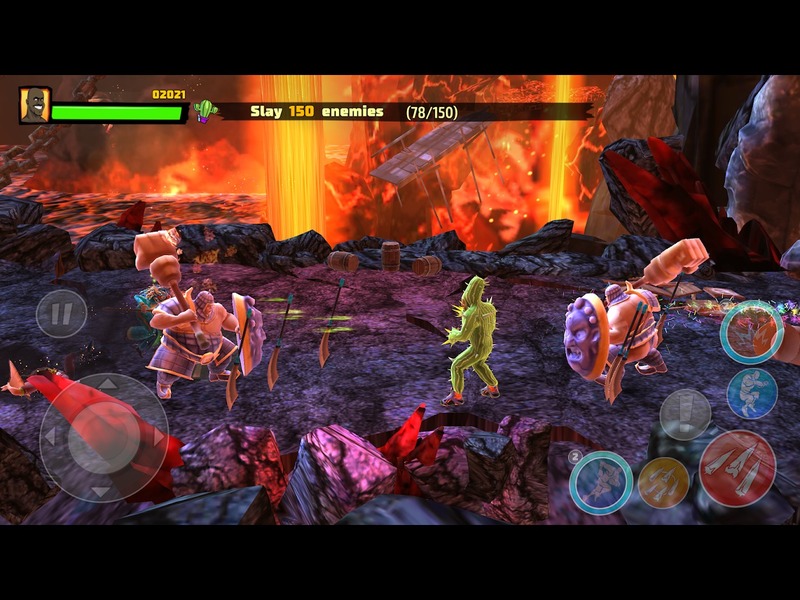 Some items or weapons appearing on the battlefield will be a useful tool for you to use to attack enemies. The game allows you to transform into a diesel engine, grilled your opponent or you can even turn into a cactus and shoot spikes to the enemy. However, you do not always have this ability, so use special skills in a reasonable way. Each level brings you to a different place like volcano, arena, street, beach, … At the end of the level are the big boss, you have to defeat them if you want to advance to the next level. When killing monsters, you also get gold and experience points. At some level, you will learn new skills. Not only do you buy equipment, you can also use gold to buy more characters. In addition to Shaq Fei Hung, the game features 14 other characters including Ye-Ye, Krazy Kaori, The Big Aristotle, Black Star Ninja, Frizzle, Arthur O’Diele, Baby Face, Diamond, Kandy, Benedict Fender, Seymour Prophet, Yen-Lo-Wang, Barack Obama, Con-Ye. 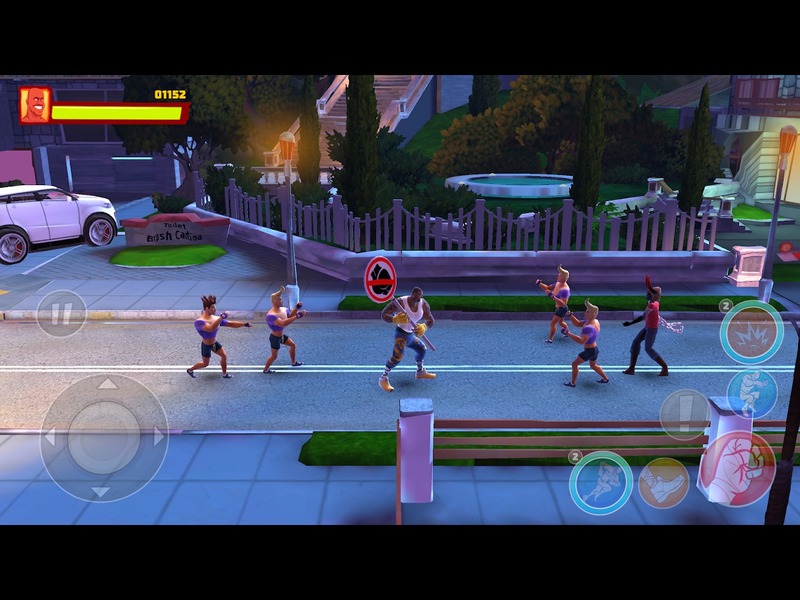 Each character has different martial arts skills that give the player more options. Hopefully, the game will update more interesting characters in upcoming updates. Thanks to 3D graphics, ShaqFu: A Legend Reborn‘s images are designed in detail and sharp with bright colors, in contrast to the bad graphics of the original version. 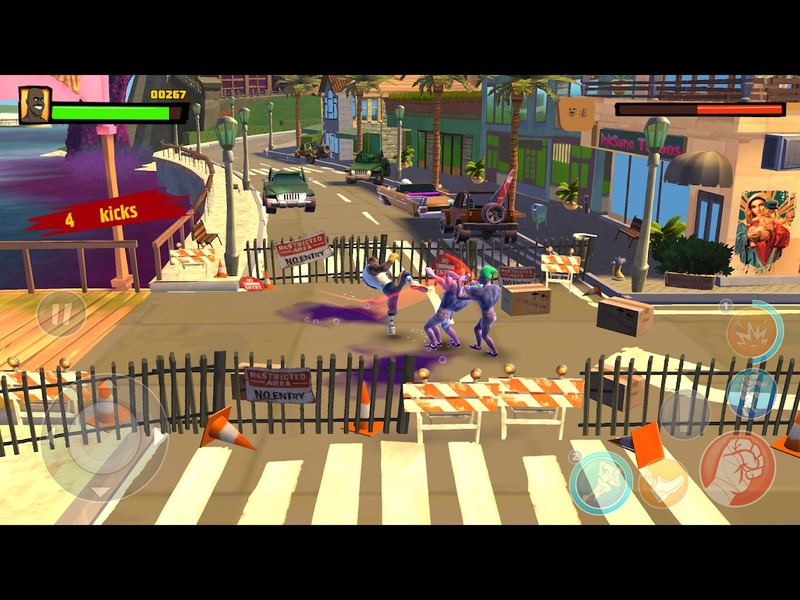 Although the battle took place quite fierce, however, the way the character’s actions are funny and lacking in seriousness so the game is quite fun for players who enjoy the entertainment. Currently, the game is available on a variety of platforms, especially free for the two iOS and Android operating systems, which you can download via the links below. 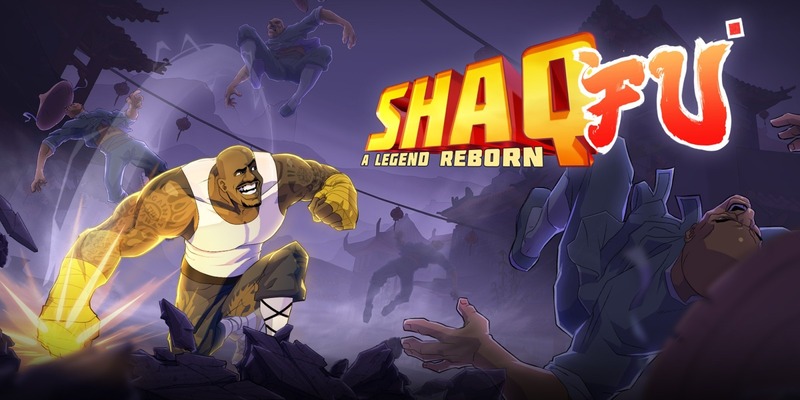 For Android devices, ShaqFu: A Legend Reborn is 24 MB in size, supporting Android 5.0+ devices. ShaqFu APK is ready to download! Depending on your needs, you can download ShaqFu MOD APK or ShaqFu Original APK. Or install from Google Play / App Store if you want.